Back to celebrate another Happy Hour with the Hunted Interior today & I have a major reason to make a fancy cocktail…The kitchen is DONE!!! We finished the very last details yesterday & to celebrate I am having a few girlfriends over to break it in!! As with any celebratory cocktail, I choose to go with Champagne as the beverage of choice. Nothing says it’s a real party like a little champs. 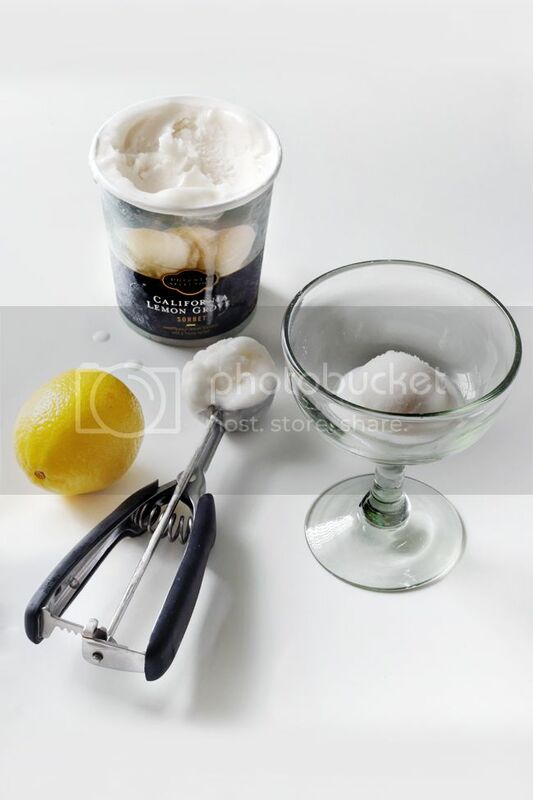 But to amp up the fun a bit, I choose to sweeten the drink with a simple scoop of Lemon Sorbet. 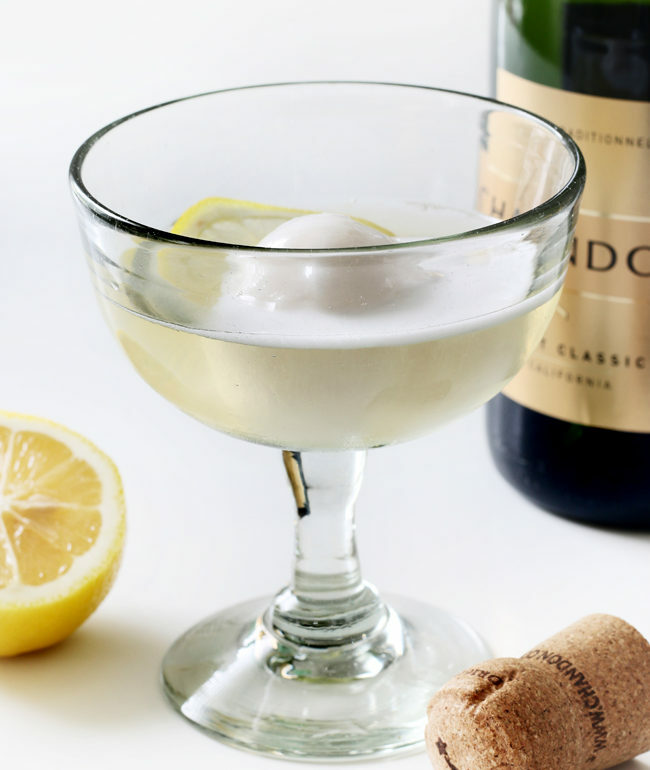 The great thing about adding in the frozen sorbet is it helps to keep the bubbly chilled, while adding the flavor of lemons. 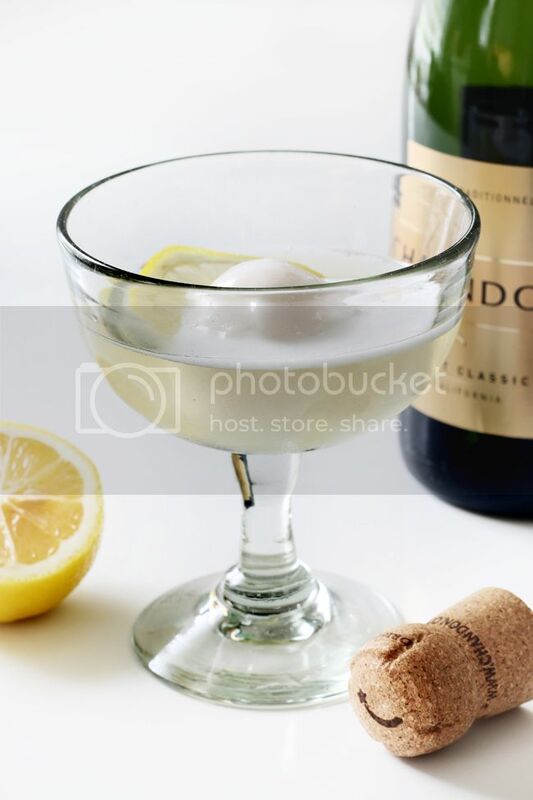 It is very reminiscent of one of my other favorite cocktails, the French 75 minus the gin. I love using these more substantial coupes, from Arhaus, to serve them in. 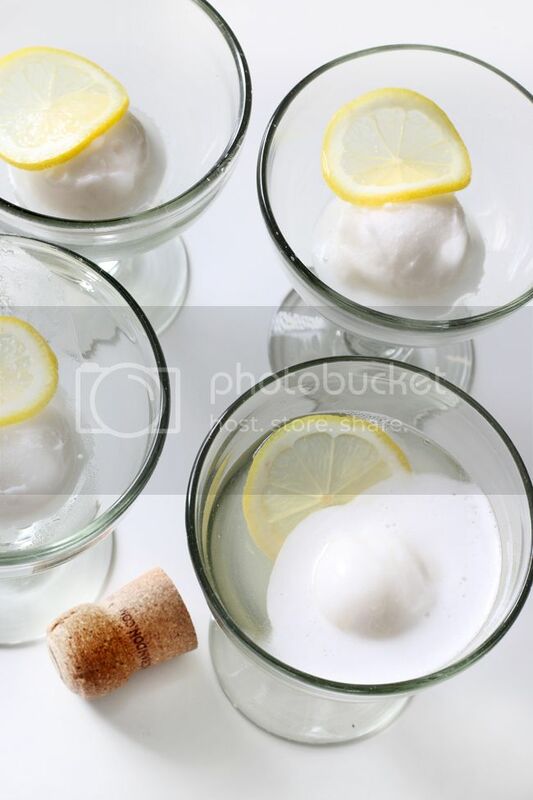 A lot of times I find champagne coupes to feel a bit to delicate, so these handblown versions have a bit more weight to them which I prefer for these Sorbet Cocktails. I hope you all have a fabulous Saturday!!! If you want to check out my other Happy Hour Post, you can find it here.